Do you suspect that one of your employees is falsifying a work-related injury? There are many ways to identify possible workers’ compensation fraud. ONQPI Investigators will confirm the legitimacy or fraudulence of a claim. Surveillance is critical to evaluating the validity of a worker’s compensation claim and vital for building a reliable defense. Videotape testimony provides valuable evidence to support or impeach a claimant’s testimony. 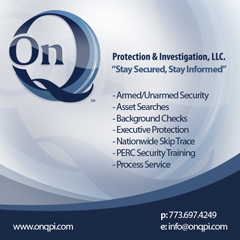 ONQPI provides involved, focused and trained personnel with superior intelligence-gathering abilities, utilizing the most up-to-date techniques and state-of-the-art technology available in our field.